In this revelatory, intimate memoir from the author of Dead Man Walking, the nation’s foremost leader in efforts to abolish the death penalty shares the story of her growth as a spiritual leader, speaks out about the challenges of the Catholic Church, and shows that joy and religion are not mutually exclusive. Sister Helen Prejean’s work as an activist nun, campaigning to educate Americans about the inhumanity of the death penalty, is known to millions worldwide. Less widely known is the evolution of her spiritual journey from one who prayed for God to solve the world’s problems to one who engaged full-tilt in working to transform societal injustices. Sister Helen grew up in a well-off Baton Rouge family that still employed black servants. She joined the Sisters of St. Joseph at the age of eighteen and was in her forties when she had an awakening that her life’s work was to immerse herself in the struggle of poor people forced to live on the margins of society. Sister Helen writes about the relationships with friends, fellow nuns, and mentors who have shaped her over the years. In this honest and fiercely open account, she writes about her close friendship with a priest, intent on marrying her, that challenged her vocation in the “new territory of the heart.” The final page of River of Fire ends with the opening page of Dead Man Walking, when she was first invited to correspond with a man on Louisiana’s death row. 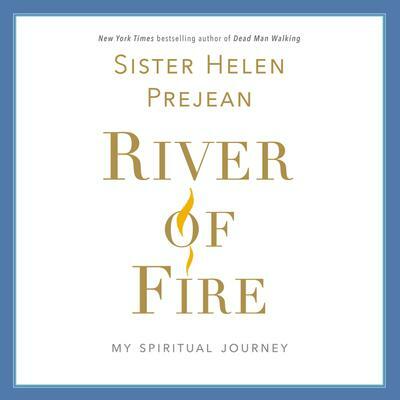 River of Fire is a book for anyone interested in journeys of faith and spirituality, doubt and belief, and “catching on fire” to purpose and passion. It is a book, written in accessible, luminous prose, about how to live a spiritual life that is wide awake to the sufferings and creative opportunities of our world.